I think we’re finally getting a break in the heat. Thank goodness, because with the start of football season, I’ve been craving chili…but not willing to make it in 90-degree weather. So, now that the weather is feeling a little more fall-like, it’s time to start making chili! Our family loves football, so our weekends are consumed by it for the next several months. We love hosting and attending football parties, and occasionally we attend a football game and enjoy the tailgating festivities! More often than not, chili is center stage at a party or tailgate. 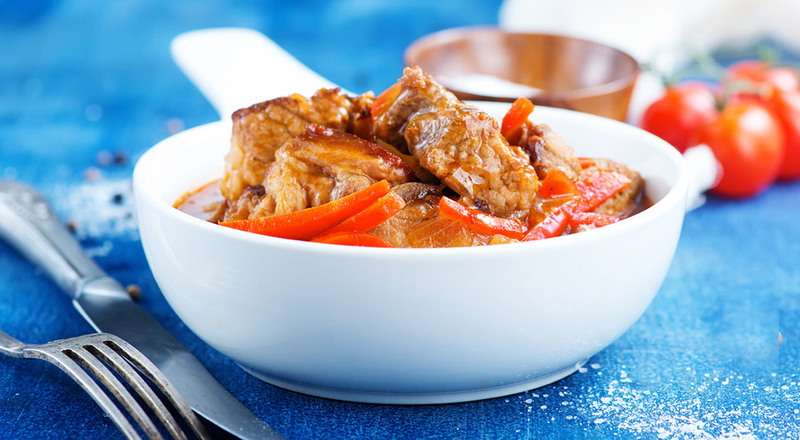 It is easy to make ahead of time (so you aren’t working in the kitchen while the game is on) and then reheat in a slow cooker. I’ve even reheated it on a grill in a large stock pot, if your tailgating set-up doesn’t have a power source for the slow cooker. My favorite chili recipe is my Sirloin Steak and Sweet Italian Sausage Chili! It’s braised in the oven, slow and low, giving the meat time to fall apart and the flavors to meld together. There aren’t any beans in this chili, but it would be easy to add them! Right now, we have some great local produce that can be used in this recipe. Family Farm Fresh (IN) has green peppers and mini sweets and Rootbound Farm (KY) has green peppers and grape tomatoes. Both farms are certified organic! And as always, we have local, grass-fed sirloin from Seven Sons Farms (IN) and Boeckmann Farm (MO) and Italian sausage from Seven Sons Farms (IN) and Marksbury Farm (KY). I usually make this chili with a side of my gluten-free cornbread. It is the same recipe from my Cornbread Muffins Stuffed with Mini Hot Dogs, but I usually pour the batter into a cake pan or loaf pan, bake, and slice. Don’t forget all the great toppings we have to offer to take your chili to the next level! 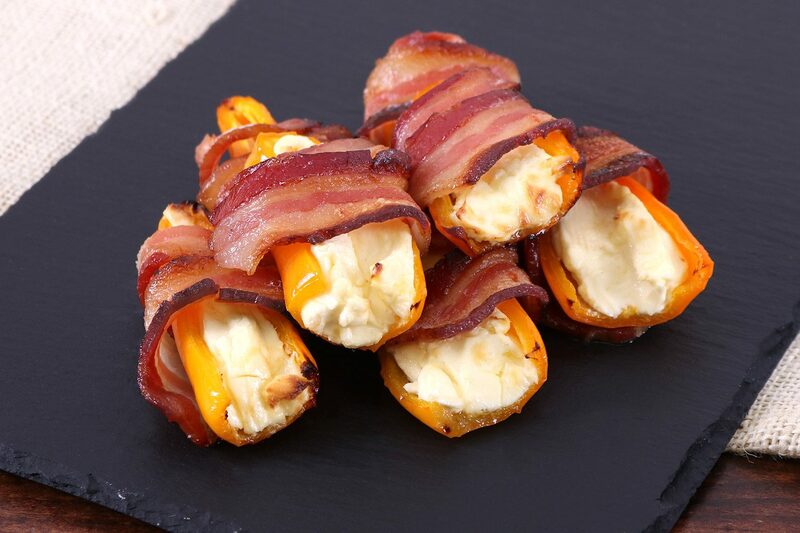 Another classic football season dish is stuffed peppers. We make them with jalapeños and/or mini sweets—whatever is available. Here is my sister-in-law’s recipe: Preheat the oven to 400 degrees. Line a baking sheet with aluminum foil. Cut the tops off each pepper, cut in half lengthwise, and remove seeds. Stuff each half with Organic Valley Cream Cheese and wrap in your favorite bacon—ours happens to be Smoking Goose Applewood Smoked Bacon. 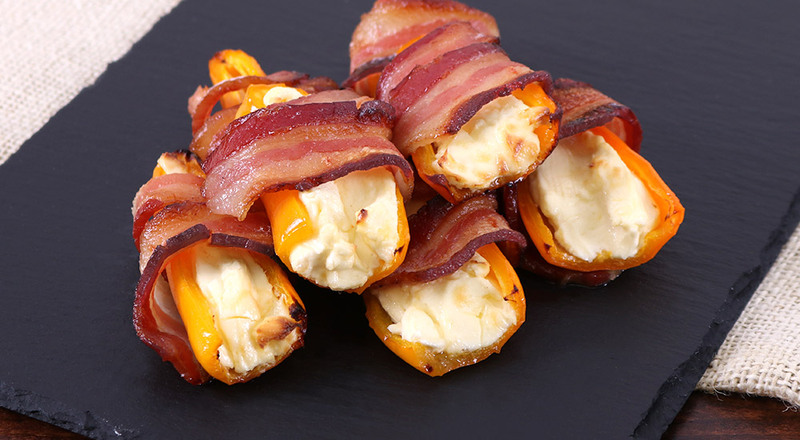 Bake for 20-25 minutes or until bacon is cooked and crisp. These are a definite crowd pleaser! Let’s be honest, most football watching parties don’t necessarily have the healthiest foods available, and that is why I ALWAYS make a veggie tray! It’s so simple, everybody loves them, and I feel a little bit better about having some fresh veggies incorporated into my diet. 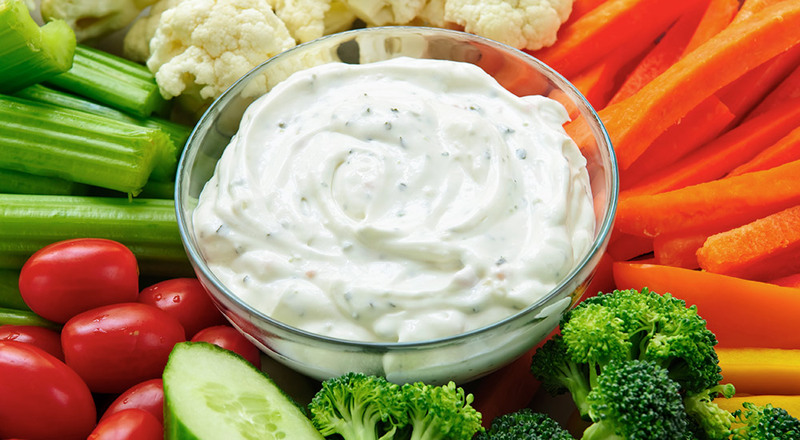 I use whatever veggies are in season and make a quick veggie dip with a packet of Simply Organic Ranch Dip Mix and 2 cups of Organic Valley Sour Cream, mix together—done. See, it’s that easy! No MSG, artificial flavors or preservatives, which makes it a much better choice than the conventional store-bought veggie dip. We have sustainably grown baby cucumbers from 80 Acres Farms (OH), and the local mini sweets and grape tomatoes mentioned above along with organic rainbow baby carrots and organic celery. Now this is a fine-looking veggie tray that will be gobbled up the instant you set it out! Perk up with These Artisanal Coffees & Teas!